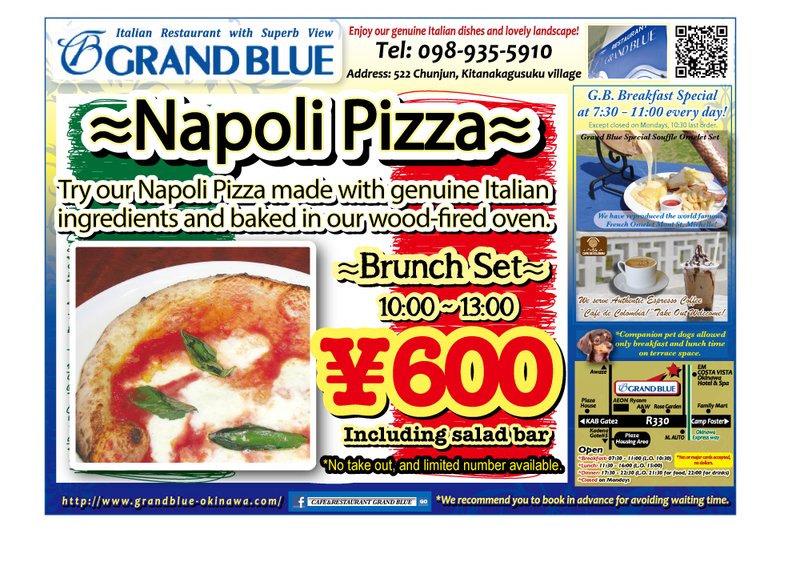 Ryuichi Kishimoto aiming at the hoop on Sunday. 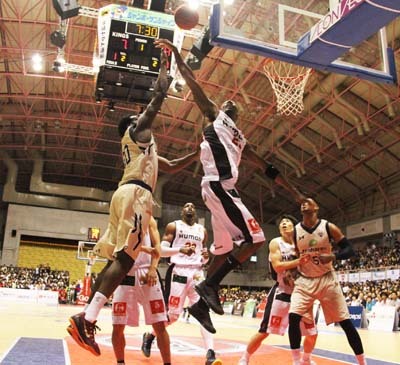 The Ryukyu Golden Kings ended on the weekend the regular season of the TKbj-League with a pair of games against their archrival Osaka Evessa. 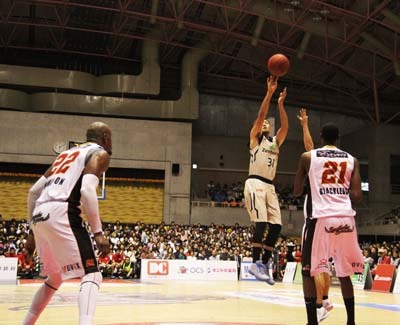 The games also marked the final season for the TKbj-League that will now fade into history books as Japan’s new top pro-basketball league takes over from this fall. There has been a strong rivalry between the Kings and Osaka Evessa since the beginning of the league, so it was befitting that the teams faced each other in the last game of the league regular season. Evan Ravenel (30) scored 12 points, nine rebounds and four assists on Sunday. The series did not start well for the Kings as they lost the Saturday game 77-81, marking the second consecutive loss for the team. That also meant that the Kings were relegated to the second place in the Western Conference for the regular season. It could have been worse, as in the second quarter of the game Osaka got the wind behind them and the Kings piled up mistakes. At one point the Kings were trailing as much as 12 points behind. But the Kings reversed the game, and even managed to pull a 8-point lead for a moment, until Osaka reversed the game again, and the Kings could not catch up in the end. 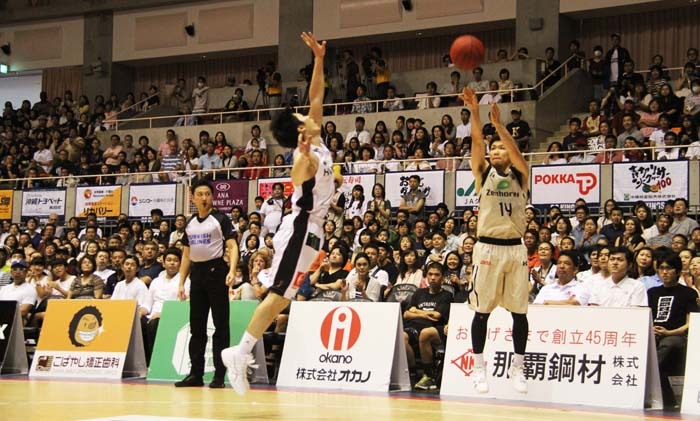 Shuhei Kitagawa’s score was 15 points on Sunday. On the day 2 of the series, the Kings got their revenge and beat Osaka 90-71. The score stayed quite even until the end of the 2nd quarter when it was 40-35, but in the 3rd quarter, both the Kings’ defense and offense started clicking and worked very well, The Kings grabbed many turnovers, and held Osaka down to just 9 points for the quarter. The flow of the game was good for the Kings in the final quarter, too. Burns, Omiya and McHenry successfully scored shots at a stretch and adding 10 points just in 2 minutes after the final quarter started. Afterwards, Isa admitted that the team’s game Saturday really had not been good. “We said let’s change our minds, and our members did it really great. This is a nice way to end the regular season, and will do good in the playoffs next week,” Isa promised.